From Westwood One to Podcast One, Norman Pattiz is on a second empire-building mission. 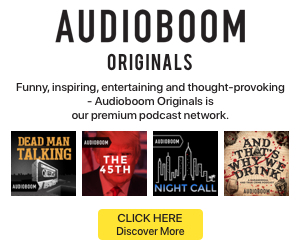 Podcast One is a producer and aggregator of spoken-word podcasts. 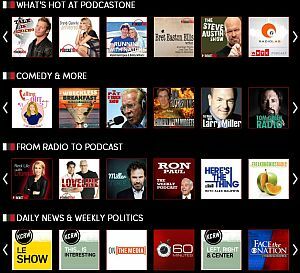 The PodcastOne.com site serves as a listening station, content directory, and organizational framework for high-profile audio programs. Its portfolio offers advertisers a sprawling inventory across audience segments. The enterprise started in February. “I don’t have to be doing this,” Norman Pattiz said about his new business. We assumed as much about the retired founder of Westwood One, the giant radio content syndicator he started in 1976. But he is doing it, and we wanted to know why, how, and where he wants to take it. RAIN spoke with Pattiz on the phone this week from his L.A. home. RAIN: For someone who has accomplished as much as you have in radio, why podcasting? What are you hoping to unlock? NP: It’s such a great opportunity. It’s simply going in the direction of all media today, which is digital, on-demand, and it’s probably the most democratic form of entertainment that you can think of. It reminds me of the early days of Westwood One, when we started to take syndicated radio programs to national advertisers. There are so many similarities. When I started in the the syndication business over 30 years ago, we took entertainment-oriented programming that wasn’t generally available in radio, and made it available. Back then, no radio station group could own more than five FMs — that’s was in the whole country. If one guy didn’t want to carry what we offered, there were five others who were. That constituted our marketplace. Today, with the consolidation of ownership and most of the major market radio stations owned by one of the three largest companies, two of which have been difficult to do business with if you’re an independent distributor of programming, there is a natural evolution of programming if you want to reach the largest possible audience. It really is nothing more than adding the on-demand component and digital distribution to what radio has always been, but now redefining it as audio. RAIN: In your lineup, you have some radio-to-podcast products, and also some pure podcasts. What is your ownership stake in the products? NP: It’s a variety of situations. Some are owned by me, or are partnerships with us. In the case of Ron Paul, for example, that’s owned by Ron in partnership with us. Laura Ingraham is our radio show. 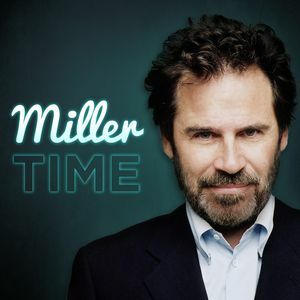 Dennis Miller is through Westwood One. With all of the NPR programs we have a representation agreement with WNYC and KCRW. We are a necessary extension of traditional radio, to keep it viable and growing. But at the same time, there are programs we’re now putting on that, without the necessity of being compatible with a radio station format, could just go out and find their own audience. Some of our owned-and-operated programs that we’ve launched in the last few months would not get cleared or carried by a significant number of radio stations across the country to make them economically viable, or to take to an advertiser. RAIN: Do you have exclusive representation rights? NP: We don’t have exclusive representation of NPR programs. But for about 75% of our programs, they are either our owned-and-operateted shows, or we do have exclusive representation rights. For Adam Corolla, which is probably the gold standard of ad-supported podcasts, we are the exclusive representative. That wasn’t the case at the start — we had to prove ourselves. We approached the business the way nobody else did. It was pretty much mom-and-pop stores before we got involved. We brought some critical mass and serious resources that we invested in research, metrics, marketing and exploitation of these programs, so they could reach the largest possible audience. 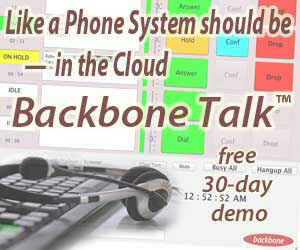 So now advertisers can go to one place and get podcasting programs for virtually any variety of target audiences. The orders, billing, and metrics will all be the same. We’re doing a lot of things that would normally be funded by an industry. But since there is no industry, I’m just doing it myself. RAIN: What percentage of your catalog is owned-and-operated originals? NP: It’s probably about 20 programs. But those 20 programs represent a significant portion of our available inventory and the audience. Probably 50 percent of the overall audience that we deliver comes from our O&O programs. RAIN: It sounds like you own the hits. Is that because of your relationship with celebrity hosts? NP: I’ve been at this a long time. Westwood One was a producer of programming, not primarily a distributor. Over the last 30 years we’ve established some pretty good relationships. Not only with artists and their management, but also with the talent agencies. The talent agencies were among the first to recognize the opportunity that existed in what we were doing. They are all looking for digital solutions for their client lists. It’s not enough just to put A-list talent in television shows and motion pictures. RAIN: You have about 200 shows in the catalog. At what pace is that growing? NP: The number of shows isn’t growing at all. We don’t want to have more than 200 programs. But the nature of those 200 programs is changing. Some shows deliver audiences we didn’t expect. With other shows, the audiences are no longer significant enough to be included on the platform. We do not want to outrun our ability to monetize these programs. We’re not necessarily interested in radically increasing the number of programs. However, we are very much interested in growing the audience. RAIN: And that audience is 100-million downloads a month? NP: Right now we’re delivering more than 100-million. That represents an increase in the last year of about 60 or 70-million. That’s from adding our owned-and-operated programs. The represented programs by themselves, a year ago, were responsible for less than $2-million in billing. This year, we’ll finish the year at about $8-million, and next year we think we’ll double that, based on up-front commitments. We’re also seeing sponsorship from Madison Avenue and Fortune 500 companies. That’s where the big growth will come from. We’re hoping for the hockey-stick growth that we saw with Westwood One. RAIN: Do you also anticipate doubling your downloads next year? NP: I don’t know that we’ll double our downloads, but I do think we’ll double our revenue, and our margins. We’re building demand among advertisers. We’re not anywhere near sold out. In the first year we wanted to lock up enough real estate to be a player with the size and scope and scalability that would attract advertisers. We still have a way to before filling up the inventory we’ve got. I think we’re going to next year. RAIN :Let’s look five years down the road. What business do you see? NP: Everything looks like the radio syndication business. Westwood One was one program, one office, one employee. We had less than a couple of million dollars in revenue. Five years out, we were probably at close to $200M. The industry was starting to grow. A few years after that, the company had over half a billion dollars in revenue, and it was a significantly large piece of what was a $1.5-billion industry. So I’m hoping that the same thing continues to happen. It looks like it will. Five years from now, this company can be valued in the hundreds of millions. We will be making money in a space where making money doesn’t seem to be as valued as building the size of your audience.